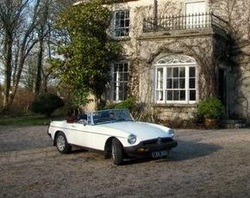 Wedding Cars & Transport - Marry Me In Donegal your wedding site! Listed below are Wedding Car & Transport suppliers either in Donegal or if from outside Donegal are happy to hire their cars for weddings in Donegal. If dialing from outside Ireland, drop the first 0 and add + 353- to the front of the number ie: 074-9111111 would be + 353-74-9111111. Why not have the father of the bride give his daughter away in style with the journey begining with him driving his daughter to the church and later, the bride & groom can drive off to the reception together. (The car/s can be delivered in the morning and collected after all photographs are taken and everyone settled at the reception).